Baby, oh Baby! The Next Chapter. | So What? I run. 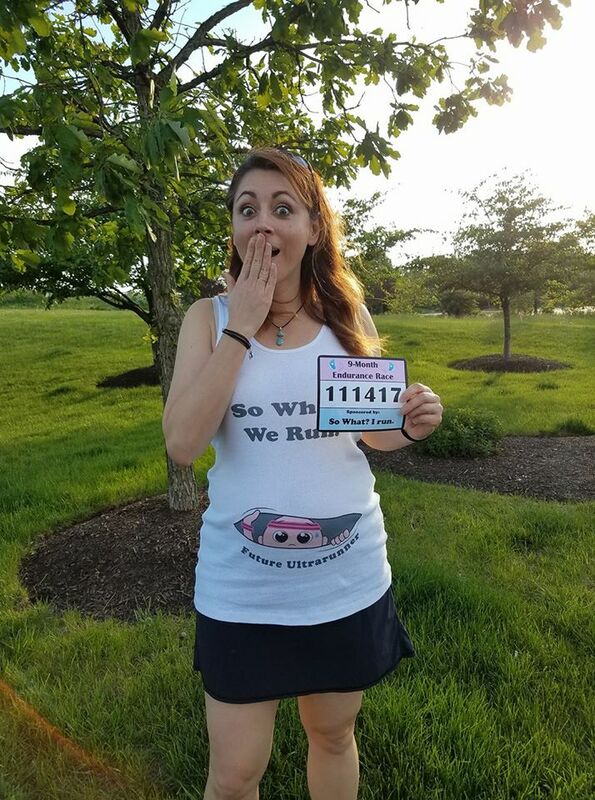 This entry was posted in Personal, Running, Ultramarathon Running and tagged pregnancy, run, Running, ultrarunning by SoWhatIRun. Bookmark the permalink. Congratulations! I love your positive attitude and am very happy for you. Will keep you in my thoughts and prayers for a healthy pregnancy and baby. I too got those same statistics about fertility and they can be disheartening and discouraging. So glad they didn’t apply to you. Looking forward to following you along the journey. That’s a really cute announcement photo and I’m over here, wishing you all the best and a healthy pregnancy and baby. congratulations my friend! I am so very happy for you! The universe is always changing our course one way or the other and usually not how we think! Hope to still see you on occasion, now that I will be more in the area. Looking forward to seeing you sooner than later!!! I am so happy for you! I love your thoughts and the fact that it is obvious that you already love this little soul. I will be praying for you and the little munchkin! Thank you for sharing! Love your openness! Congrats again – couldn’t be happier for you! Wow! Congratulations on the most exciting race of your life. Wish you a happy and safe pregnancy! Sending you all the magical beautiful positive vibes you can handle. You are a beautiful person and the Universe has Blessed you because that soul has chosen you to be it’s Mama to love, protect, teach, and guide through this wondrous journey of life! I am so incredibly happy for you Sandy! !